While the state parks are great in the summer, they offer entirely different experiences in the colder months. Frozen waterfalls, snow-covered trees, and fresh trails emerge in winter. What’s more, this time of year also presents a number of fresh and interesting ways to explore the parks. 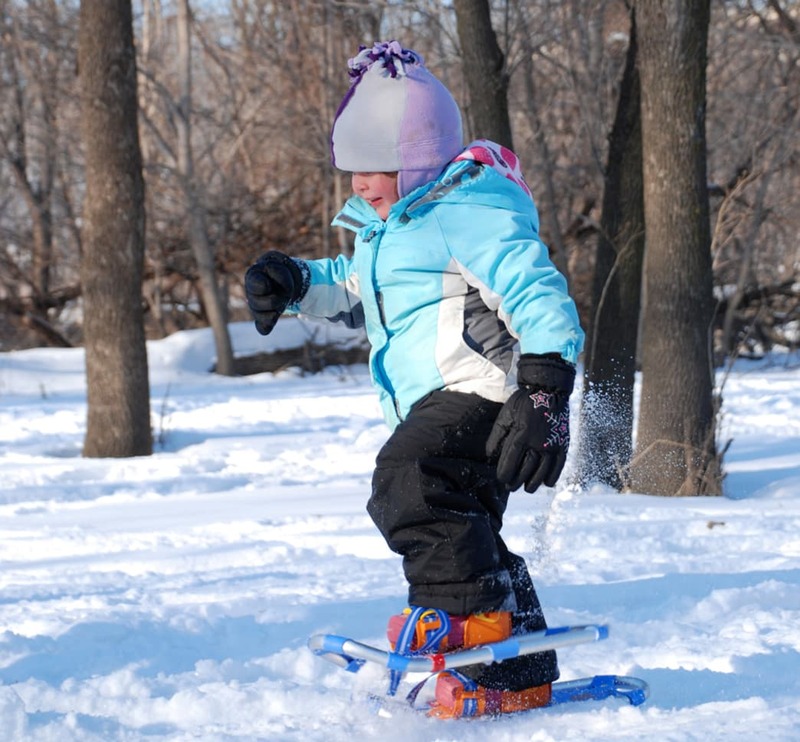 Skiing, snowshoeing, sledding, and ice climbing are only available when the temperatures dip and the snow falls. Whether you’re looking for a weekend getaway or just a day trip, the state parks have a little something for every outdoor adventurer. We selected a few of our favorite Minnesota State Parks to visit this time of year. So bundle up and grab your snowshoes or skis and hit the snowy trails. In the warmer months, this park that overlooks the St. Croix River is known for its dense forested trails and gorgeous prairie flowers. 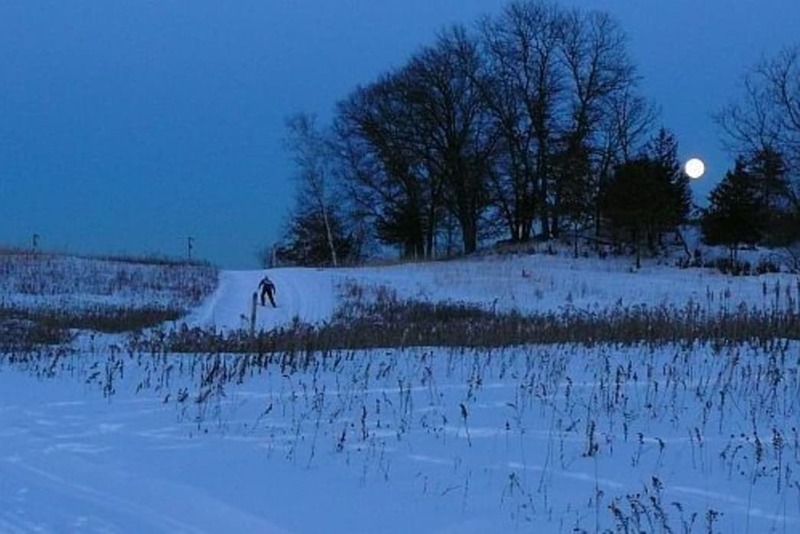 In the winter, Afton State Park is a perfect place for cross-country skiing and snowy hikes. Miles of groomed ski and snowshoe trails allow you to explore areas of the park you may have missed in the summer. If you want to make a weekend of it, check out their camper cabins and yurts available for rental year-round. The frozen falls are the number one reason to visit Gooseberry Falls State Park in the winter. The spectacular Upper, Middle, and Lower Falls of the Gooseberry River transform from a thunderous torrent of water through a rocky gorge to a frozen masterpiece. 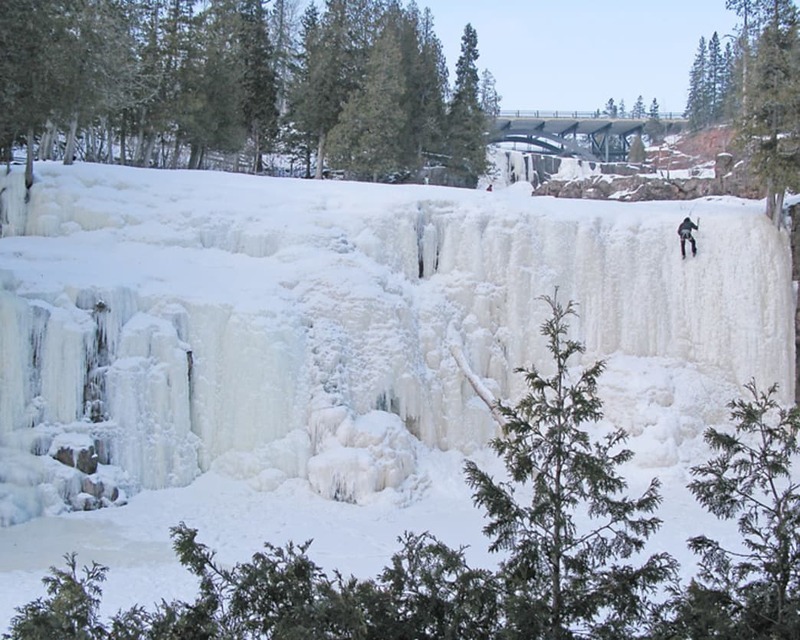 If you’re into scaling these natural structures in the winter, ice climbing is allowed on the lower falls. Twenty kilometers of groomed classic cross-country ski trails also make for a great way to see large portions of the park. Located right in the Twin Cities, Fort Snelling State Park presents an excellent opportunity to get out and active even on a weeknight. With 12 miles of groomed cross-country ski trails and six miles of multi-use trails, you won’t run out of places to explore in the park anytime soon. A favorite path among local hikers is the three miles of packed walking trails that encircle the wooded Pike Island at the confluence of the Minnesota and Mississippi Rivers. With a pair of snowshoes, you can get off the beaten path and go anywhere except the groomed ski trails. 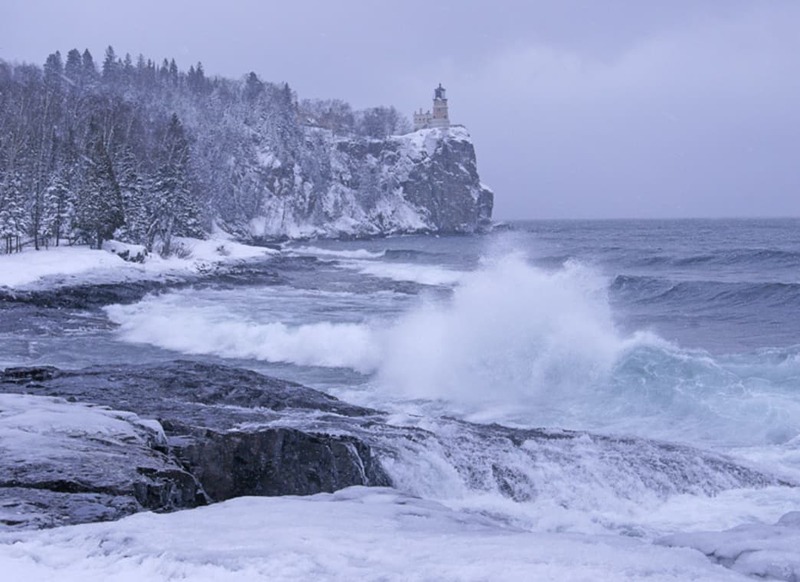 Split Rock Lighthouse State Park offers one of the most iconic Minnesota photo opportunities in the entire state. Well known for its historic lighthouse, the park brings in visitors of every ilk all year round. Fat biking is an even better reason to visit Split Rock in the winter. Part of the fat-bike pilot program, the park offers 8.7 miles of thrilling groomed trails specifically for fat biking that run right along Lake Superior. 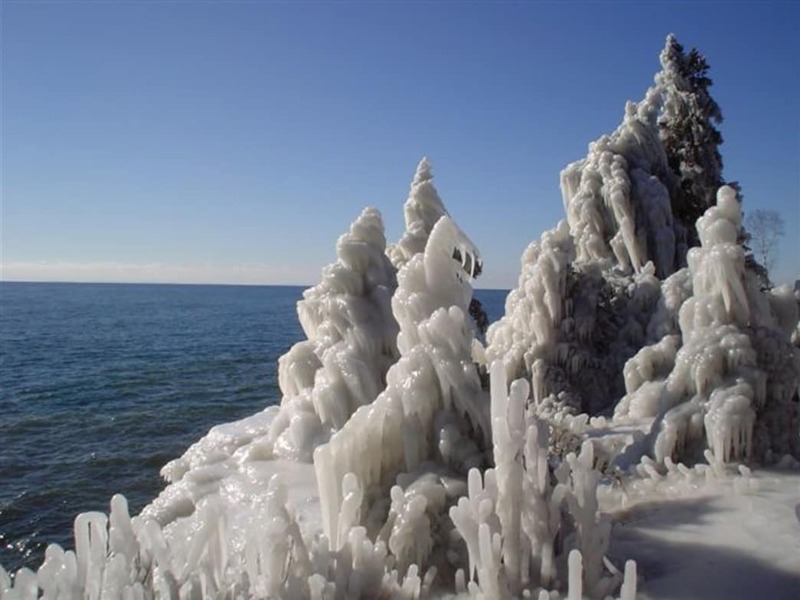 Tettegouche is famous for its imposing cliffs and scenic overlooks. Winter provides a particularly spectacular views of the High Falls of the Baptism River. At around 100 feet, these frozen falls are a great stop on a snowshoe hike around the park. Cross-country skiing and snowmobiling are also popular activities in this park once a good base of snow has accumulated. Situated along the St. Croix River, William O’Brien State Park is just an hour from the Twin Cities. Snowshoe rentals on-site, along with year-round camper cabins make this an easy getaway for city dwellers. 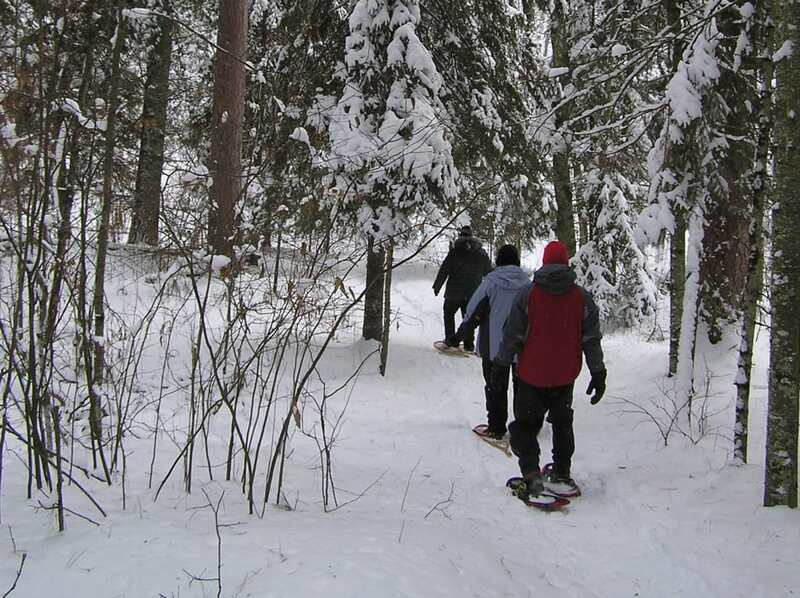 Snowshoeing is a great way to experience the rolling prairie trails and hardwood forests of this park. If you’re looking for a more intense cardio workout, ten miles of skate and classic cross country ski trails are groomed regularly and skijoring with your dog is encouraged. For the hardiest Minnesotans, Jay Cooke State Park is a great option for winter camping. If you prefer something a bit more comfortable, it also has five year-round camper cabins available for rent. Cross-country ski buffs love Jay Cooke for its 32 miles of classic ski trails that weave their way through the park. 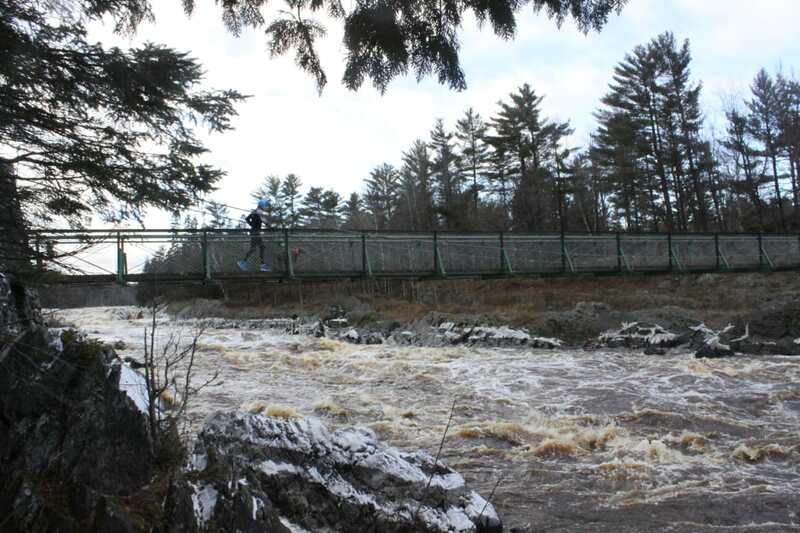 If you visit, don’t miss out on the beautiful views of the raging St. Louis River via the famous Swinging Bridge. Situated at the headwaters of the Mississippi River, Itasca State Park is a place every outdoor-loving Minnesotan needs to visit. Comprised of 32,000 acres and more than 100 lakes, you'll never run out of things to do when it comes to outdoor adventure. For silent sports enthusiasts, there are miles of classic and skate groomed ski trails throughout the park. To explore the outer edges, rent a snowmobile and check out the 31 miles of trails along the perimeter of the park. Written by Mackenzie Lobby Havey for RootsRated.